Like it or not, a full mouth of beautiful teeth can go a long way towards making a positive impression. In fact, according to a recent study, 29% of Americans notice other people’s teeth before they notice any other aspect of their face. Conversely, a mouth missing teeth is sure to leave someone with a sour first impression, and if you are missing more than a few teeth, it may be time to consider dentures. There are primarily two different kinds of dentures; temporary dentures and permanent dentures. Here we will focus primarily on permanent dentures. Permanent dentures are a tooth replacement method that enables individuals missing teeth to continue to eat and speak properly while keeping the appearance of a mouth full of teeth. While a dentist will do everything possible to keep all of your teeth intact, sometimes nothing can be done to save teeth that are damaged and permanent dentures have to be considered. 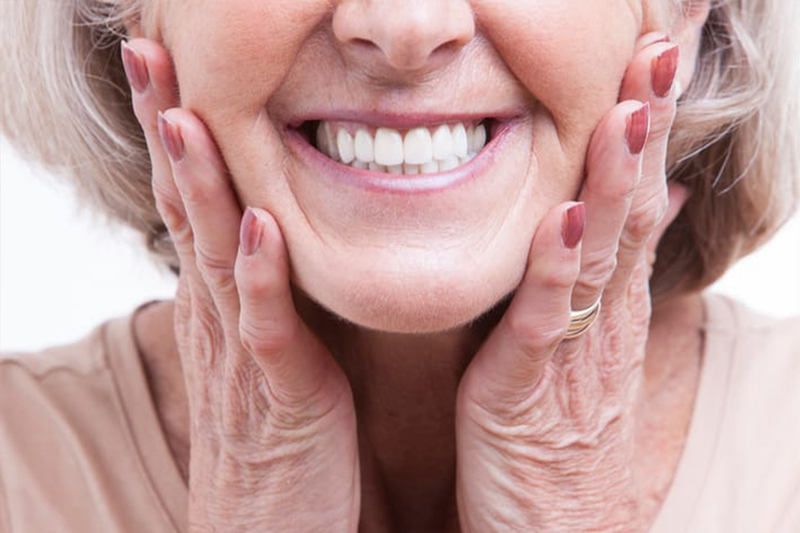 What is the Permanent Denture Procedure Like? All in all, the process of getting permanent dentures takes anywhere from three to six weeks. The process primarily involves three steps. The first step is to get an impression of your jaw and mouth to get accurate dentures that fit your mouth perfectly. The dentist will precisely measure the space in your mouth for your permanent dentures. In order to make sure the impression is correct, your dentist will create a model in the exact shape of your dentures. The model, usually made of plastic or wax, is a replica you can put in your mouth so you can make any needed adjustments to the color, fit or shape before the permanent dentures are manufactured. The final step is casting the dentures, making sure they fit perfectly in the mouth. Temporary partial dentures are replacement teeth you can wear for the period immediately after tooth removal. Dentures during this period, usually lasting two to three months, allows individuals to be with teeth while the sensitive gum tissue heals. Temporary dentures are made using the same process as permanent dentures, but since the impressions are made before teeth are extracted, the fit may not be as perfect as desired once troublesome teeth have been removed. If you have missing or damaged teeth and are looking for a long term replacement for missing teeth, consider getting permanent dentures. The team at University Dental has experience creating permanent dentures for individuals of all ages and mouth sizes, always finding a fit that feels, looks, and bites just like normal teeth. If you want to learn more about your dental options, contact University Dental in San Diego for a consultation. Give us a call at (619) 473-2565.